Using Acuity for Summer Lesson scheduling allows you ultimate say in flexible scheduling around your summer plans! Just follow these simple step by step enrollment instructions and you're on your way. 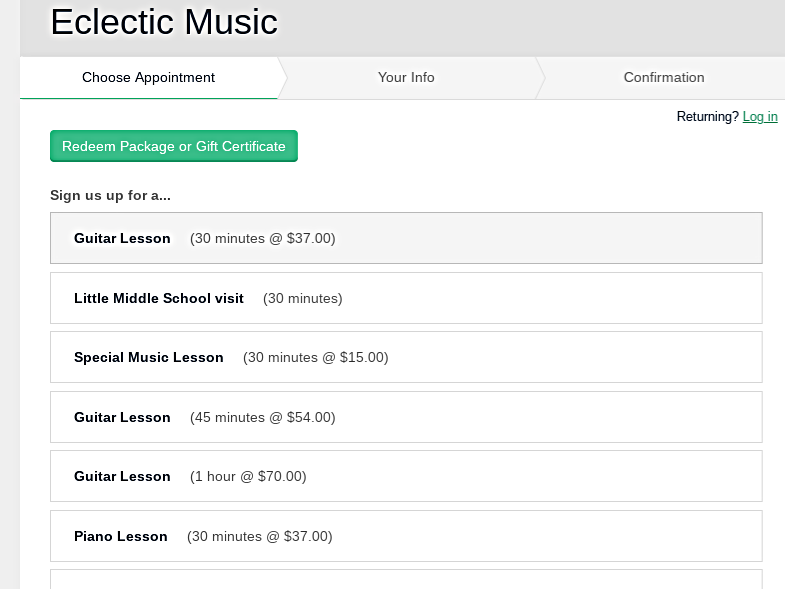 Which instrument would you like to schedule the lesson/s for? 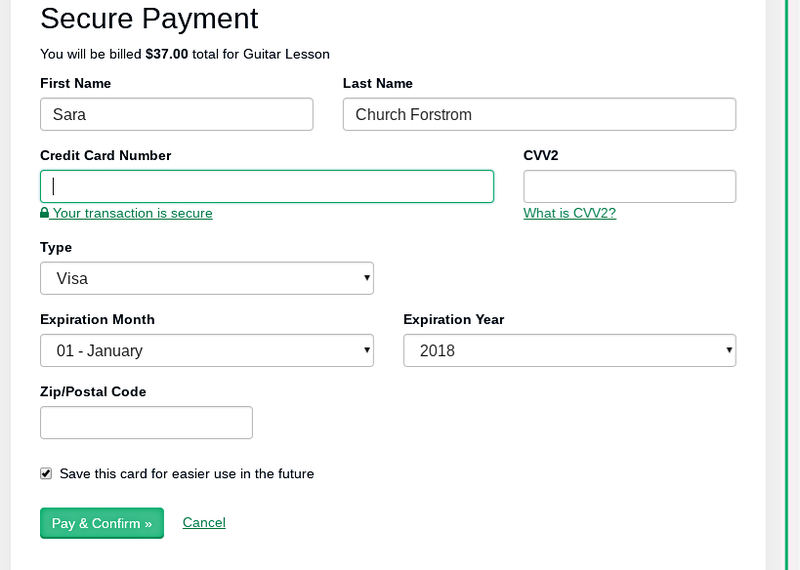 Click on the first drop-down menu, then sign up for the instrument of your choice. 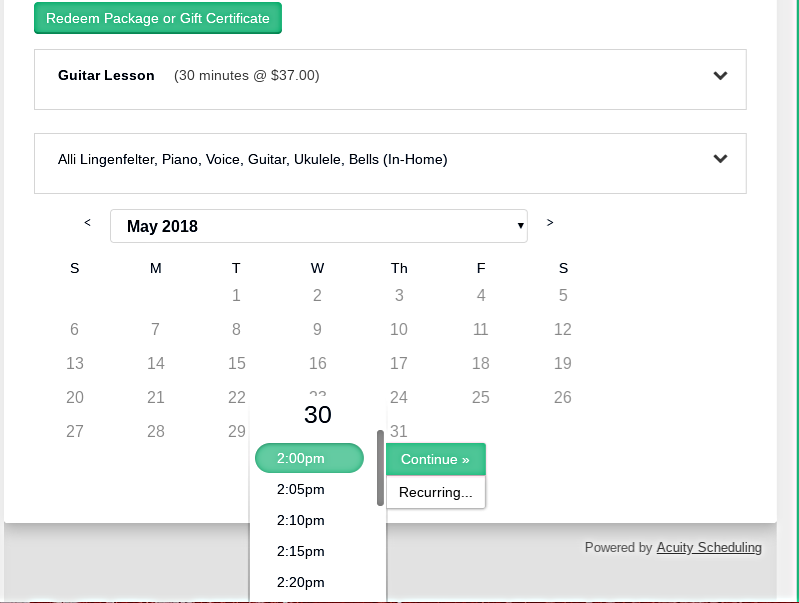 Click on the date of your choice, then select your lesson time from the drop-down menu of all available times. This screen will show you a list of all lesson/s you’ve selected, allowing you to go back and make any needed changes before proceeding. If you’re new to Eclectic Music, please be sure to fill in all the student info! Next, you’ll use the Secure Payment page to enter your credit card information, noting the total amount owed right above your name. Once you’ve clicked the ‘Pay and Confirm’ button, you will immediately be redirected to a confirmation page, and will receive an email confirming that your lessons are scheduled. You’re all set! Go forth and make music. Ready to Enroll for yourself? Click Here!